Add beauty and elegance with Shimmera! 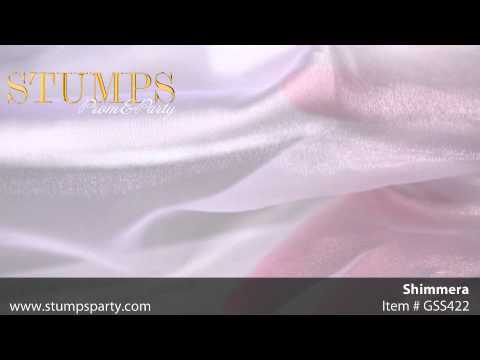 Our White Shimmera is perfect to add elegance to your party with its iridescent look. White Shimmera is a lightweight polyester woven material and measures 58" wide x 20 yards. Use White Shimmera to decorate everything from your tables, chairs or create breathtaking backdrops! The shimmera is transparent but, can be layered for a more opaque look. Shimmera is not flame-retardant and will arrive folded. Product Code: LUAAMHWear this Adult Mini Hula Skirt at the next luau party you host or attend. Each natural colored Hula Skirt is made of paper raffia measuring 16" long x 36" wide and features an elastic band for a comfortable fit.